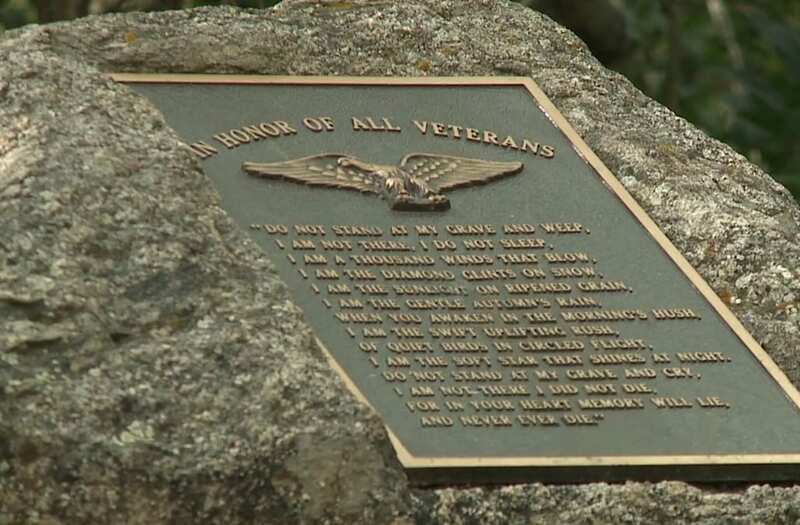 NEDERLAND, Colo. (KDVR) -- An American flag was burned at a veterans memorial site in Nederland, and local police are looking for the persons responsible. The memorial is a few hundred yards down the trail at Chipeta Park. The site includes a plaque and flower bed that surround a flagpole, currently without a flag. Residents in Nederland said they live in the small town for its peace and beauty. An American flag was burned at a veterans memorial site in the small town of Nederland in Colorado this week and police are looking for the persons responsible. “It’s an extremely blissful and beautiful place to live,” said Air Goodman as she walked her dog along the trail. But for many, what happened at the memorial site earlier this week was neither peaceful nor beautiful. That flag is now gone, and the Nederland Police Department posted a message on the town’s Facebook page looking for the person responsible for setting it ablaze. Local veteran Robert Tucker said he’s offended by the act. Tucker added that flag burning at a veterans memorial makes it even more disturbing. Flag burning is not illegal in itself; however, the police are investigating the incident as criminal mischief. Anyone with information is asked to call police at 303-258-3250. Those interested in supporting the veterans memorial flag and its care can contact the Nederland Town Hall.